I’m very pleased to welcome Tana Collins today as part of the blog blitz for her latest novel Mark of the Devil. Mark of the Devil is the third in her series featuring Inspector Jim Carruthers. The first thing you need to know about Tana is that she got so carried away with her ten things that she has actually written thirteen! I’ll let her off for her enthusiasm though. A misplaced copy of Peter Robinson’s novel, In a Dry Season, discovered in a charity shop in Edinburgh, first got me reading crime fiction. I loved that book so much I bought every novel Robinson had ever written in the DCI Banks series. What I particularly love about that series is Robinson’s characterisation and his wonderful sense of place. The books are set in Yorkshire which is where I was born which was a bonus. At some point I started wondering if I too had a crime novel in me. Having always been a scribbler I started writing. 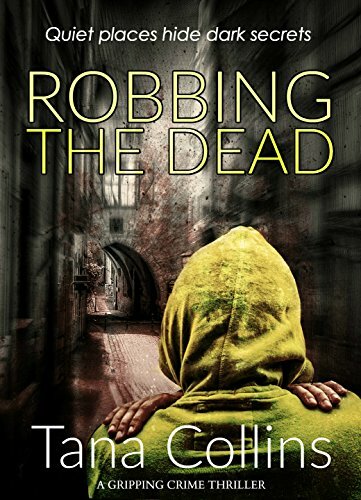 I woke up in the middle of the night with a title and a dramatic opening scene of a brutal murder of a young man in a coastal town and my debut novel, Robbing the Dead was born! However, at 43,000 words my work flagged and I ran out of steam. I needed some help. My big chance came in that summer of 2011. I found out Robinson was flying over from Canada to give a week long crime writing course at the University of Tallinn. I booked the course, my flights and accommodation and flew to Estonia. It literally changed my life. The following year I went on an Arvon Foundation course up near Inverness, given by both Peter Robinson and Karen Campbell, where I met fellow writers Sarah Ward and Alison Baillie who have both been immensely helpful. I wrote three novels in my own series before approaching publishing companies. I wanted to set the series in the East Neuk of Fife as I’d gone to university at St Andrews and found the East Neuk a fascinating place with its wee coastal towns and interesting history. It was a difficult decision but I decided to fictionalise St Andrews and it becomes Castletown – the reason being I wanted to grow the town and have more creative license over the location. Those who are familiar with St Andrews will definitely recognise it in Castletown though. In October 2016 I was over the moon to be offered a three book publishing deal with Bloodhound Books. I could hardly believe it when my debut novel, Robbing the Dead, became an Amazon Number One besteller for Scottish crime fiction. The second novel, Care to Die, also managed to hit the Top 10. I am convinced I have Peter Robinson’s Estonian course to thank for the fact I kept writing at a time when my work-in-progress was flagging. I was so fascinated by the political history of Estonia it becomes part of the backdrop of my third and current novel, Mark of the Devil. Sadly, part of the inspiration for Mark of the Devil was based on the true story of the terrible theft of an antique grandfather clock that happened to my Mum in East Sussex over a decade ago. Five masked men broke in to her house in the middle of the night when she was home which must have been terrifying. CID were involved and even a medium came forward to try to help. Sadly the clock was never recovered and the medium was of no help whatsoever. People often ask me what aspects of crime writing I found most difficult when I first started to write and I have to say it was characterisation. It was really tricky getting the characters right and making them feel authentic. When we first meet our lead detective, inspector Jim Carruthers, he’s broken hearted as he’s been dumped by his wife who has moved back to her parents in Fife. In Robbing the Dead, Carruthers moves from London to Fife to try to win her back. However, very swiftly he’s caught up in a case of intrigue and murder when a young man in the RAF is found dead and a university lecturer’s car is blown up. Suffice to say Carruthers finds his love life has to take a back seat. My female character, Andrea Fletcher, comes from East Sussex which is where I grew up. I also make her an Arsenal supporter. I often say that she has more of my experiences and Jim Carruthers, my main protagonist, has more of my character. I was three books in before I realised that each of my novels starts with the dramatic opening of a body which kicks off the police investigation. It wasn’t a deliberate ploy but it works for me so has become one of my writing devices. I aim to write fast paced, hard hitting crime thrillers that have a deeply emotional side to the plot. I’m thrilled that I have such wonderful reviews. Amazon readers have told me they love my strong characters (which was particularly gratifying), the Fife setting and my contemporary plots. 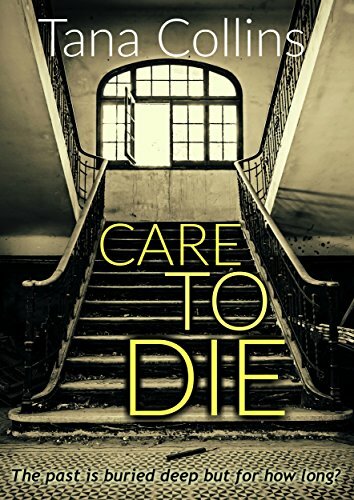 In fact I think it was the Writing Garnet that described Care to Die as “hard hitting, spine tingling, severely shocking; an explosion of gripping and emotive words, all in one place. Wowza.” I’ll happily take that. After years of writing it’s such a thrill when readers tell you they really enjoy your work. However, I have to say my biggest thrill was when Peter Robinson agreed to endorse my second book in the Jim Carruthers series, Care to Die. It was literally a dream come true. Care to Die is particularly close to my heart. I wrote it when my mum was recovering from a heart attack and bypass surgery. One of my mentors, Allan Guthrie, suggested I give Carruthers a brother who has a heart attack modelled on what Mum was going through. At the time of writing she’d had seven stents including two failed procedures in two different hospitals and we weren’t sure if she would pull through. It’s one of the hardest things I’ve ever done to incorporate a heart attack into the novel but I agreed to listen to Allan. Mum did indeed pull through and I think it makes the character of Carruthers that bit more vulnerable and authentic. I am appearing on panels at both Newcastle Noir and Crimefest in Bristol this year and will be attending Harrogate and Bloody Scotland. If you see me do come and introduce yourself. I love meeting writers, bloggers and readers and I’m particularly keen to encourage other writers not to give up on their dreams. As I’m winding up this piece can I just thank Joanne for agreeing to join my blog tour for Mark of the Devil and say how important our bloggers and readers are to us crime writers. We really would be lost without you. Since everyone who crosses the vengeful killers seem to end up dead, can Carruthers solve the case with his life intact?